The city of Cupertino, population 60,000, is undergoing unprecedented growth in high-density commercial and residential developments. This has its impetus with the new 14,000 employees Apple Campus II R&D facility to be completed at the end of 2016. Investors are having a run on buying properties with the intentions of replacing old structures with new commercial/housing developments. This revitalization of our city seems like a good thing. But most residents live here because of our two world class school districts and commute to work elsewhere. Likewise, people working here commute from elsewhere due to the high cost of housing from the demand for our schools. These new developments will result in far more people driving. 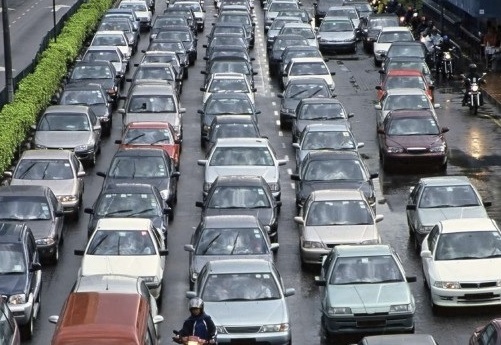 Since there is no space to build more roads and freeways increasing traffic congestion and the demand for more parking will very quickly escalate. A long-range plan to encourage more biking and walking is needed by making bicycle/pedestrian routes far more Safe, Appealing, and Convenient for people of all ages and abilities. As more people start cycling, fewer will drive reducing the burden on streets and parking around schools, businesses, and shopping centers. There are many other benefits to bicycling. But bicycles alone will not solve all our traffic issues. Public transportation must also play a role in moving people around town and between towns. But in a city consisting of mazes and cul de sacs of dead end streets, this alone is not enough. It is simply not possible for most residents to conveniently walk to a bus stop. Public transportation has its greatest value along major arterial roadways. It may better serve future populations as high-density developments are built along their routes. Most important is to encourage and incentivize people working here to live in housing within walking, biking, or direct transit of work, shopping, and elsewhere to eliminate the need to drive especially for large employers such as Apple but also for smaller ones. There is a relatively new concept called Smart Growth which promotes sustainable growth with minimal impact on the environment. This will have the greatest long-term benefit for sustained growth. This is all about mitigating the consequences of Growth. So Visualize a long-term future that slowly nurtures Cupertino into a safe, traffic congestion free, and Growth Sustainable city fostering financial, social, and health enhancements to the quality of life using such things as Eco-Friendly Bicycles and other low impact technologies as a major mode of local transportation with close to zero energy, noise, and emissions in the distant future. But central to this is the development of efficient land use policies that eliminate the need for cars by placing jobs and resource close to where people live. Cupertino needs such a Vision to guide decisions Now to pave the way for a more sustainable Future. Otherwise, city planning will always be short-term risking unnecessary redevelopment later. But City Council must first have the Vision and Political Will to make such policies in the General Plan a priority. 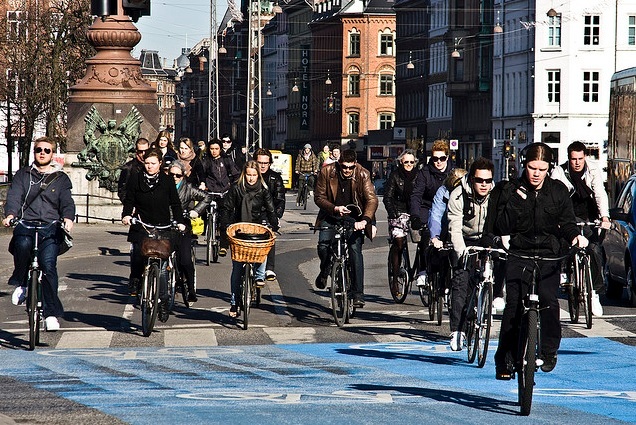 Denmark for decades, Portland Oregon, and New York City more recently among other cities have made Bicycling and efficient city planning their highest priority for reducing cars and their negative impacts. So why can’t we? To enhance the wise application of land use to gradually reduce and ultimately eliminate our dependence upon cars by utilizing the principles of Smart Growth. This blog describes Problems and suggests Solutions. Bicycle Culture by Design – A very inspiring YouTube clip about car culture vs. a bike culture. Google: Cities reducing cars with bikes for more examples of what other cities are doing worldwide.